Disclaimer: this tie and pocket square were provided by R. Culturi at no cost to me in exchange for an honest review. R. Culturi is another one of those brands that I’ve come across on Instagram. 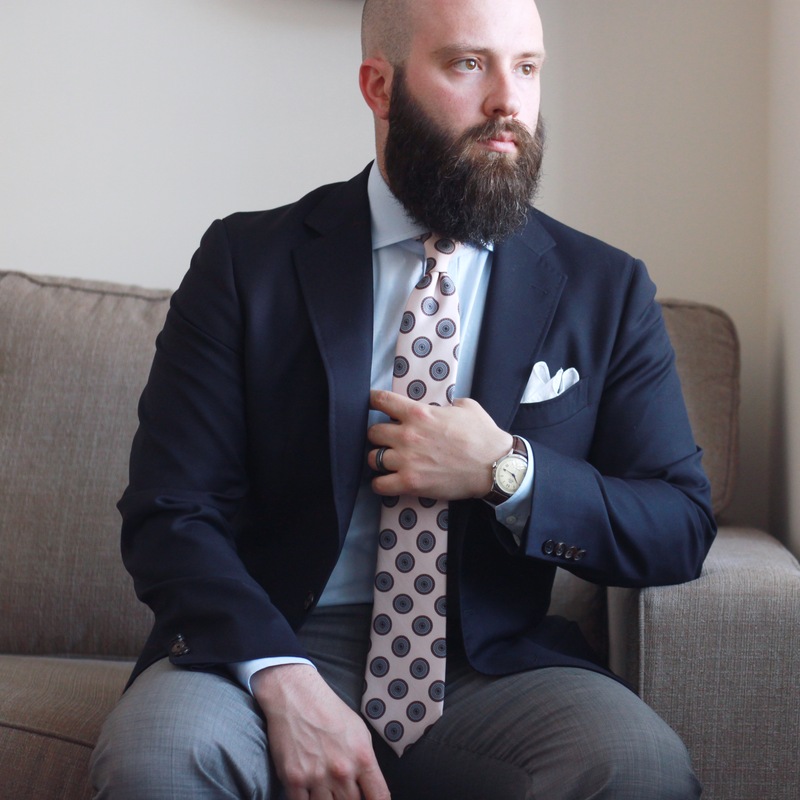 I have had some great interactions with them on that platform, and so when they reached out with an offer to check out a tie and pocket square, I was very interested. They’ve been around for about 3 years now, and produce a nice selection of ties and pocket squares. 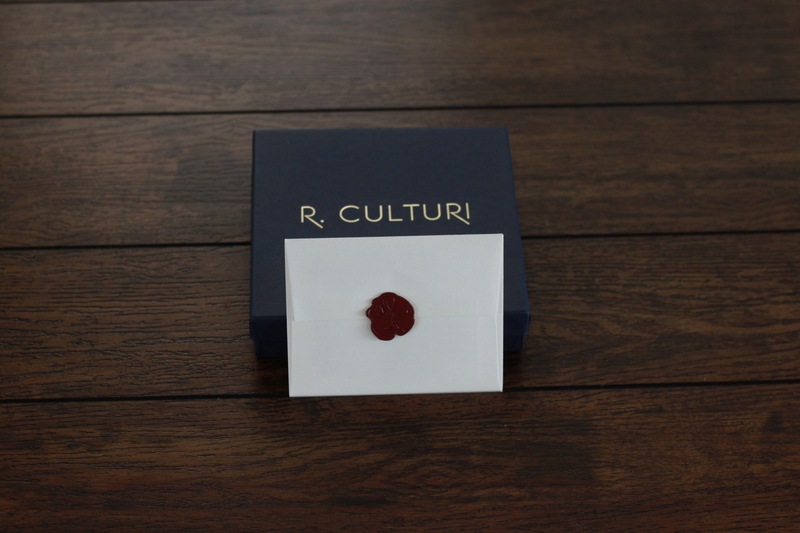 R. Culturi currently offers two collections: Art and Heritage. 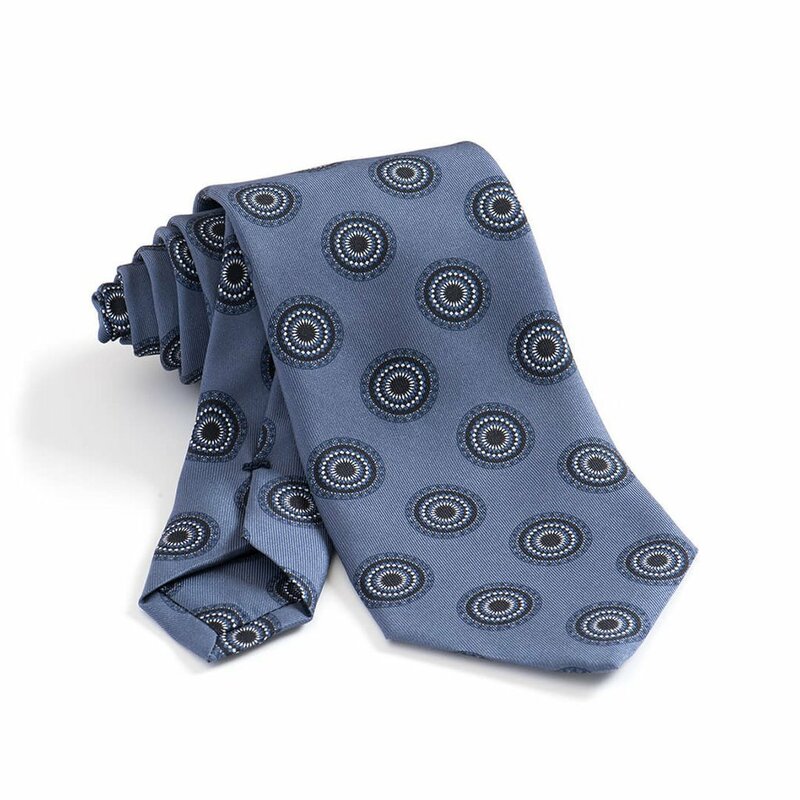 The Art Collection of ties feature a number of large scale medallion patterns, and a couple of “striped” options. 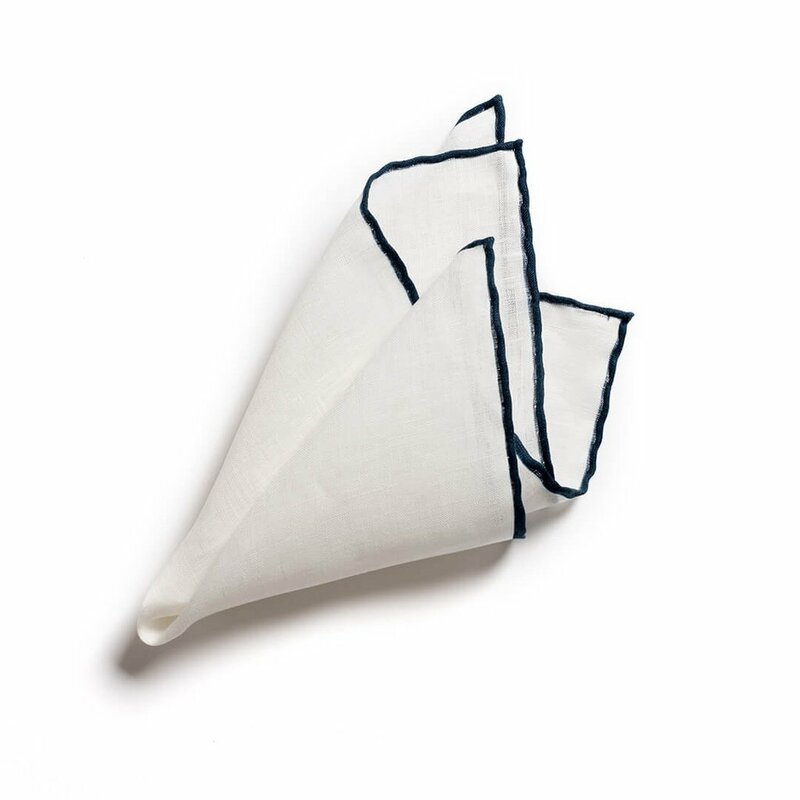 The pocket square offerings are truly something special. There’s a great variety of colour ways, and designs. 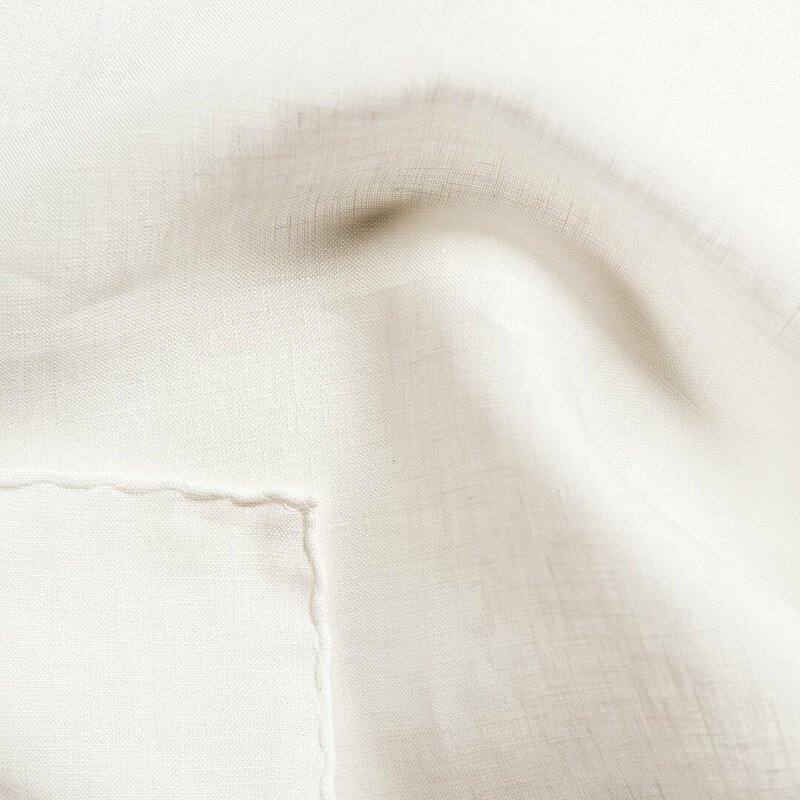 The Heritage collection has a few colours each of grenadine, shantung and some great pointed-end knit ties, while there are three variations of plain white linen pocket squares. All images from R. Culturi’s website – great photography! I’ve mentioned in my buying nices ties post that I don’t have many repeating pattern, or neat ties. Seeing the large scale medallions on @queezethagod, especially in some of the distinct colour combinations, made me want one (or two, or three…). 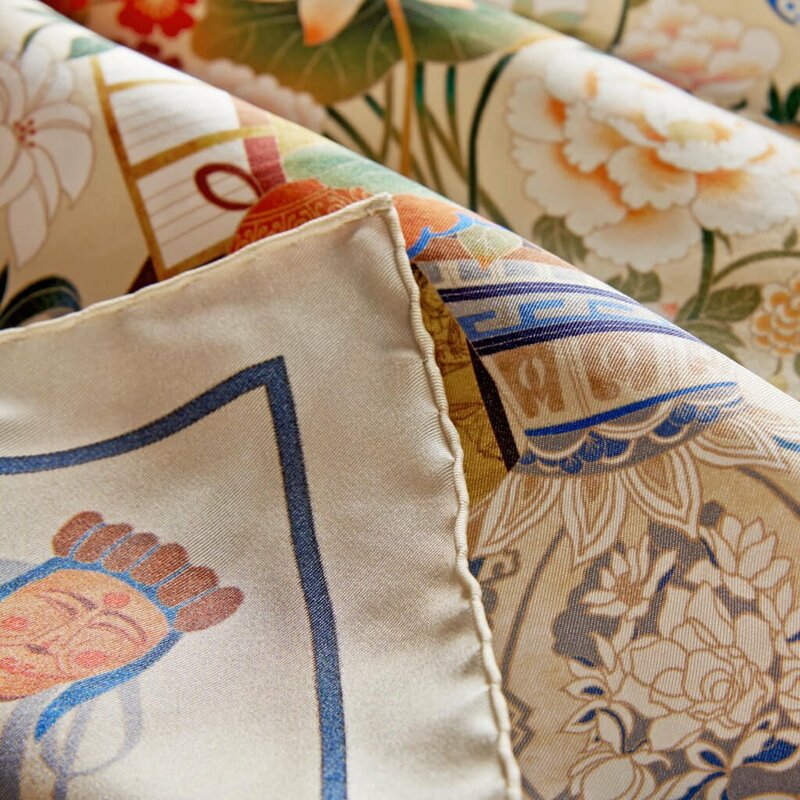 I chose the Barroco Mandola in Ivory and Sky Blue tie from the Art Collection. I don’t have any ties with this light of a base colour, and I thought it would be a versatile addition to my collection. For the pocket square, I also looked to the Art Collection. I was torn between a few (pictured above): Carpathians, Colorful Wind, Stag Totem, Still Life, Tides and Vision of an Urban Peasant. After careful consideration of the things I liked about each one, be it base colour, darkness/lightness, and how it might fill a gap in my collection, I went with the Vision of an Urban Peasant. My package was shipped from R. Culturi via USPS and Canada Post. It arrived without damage, and I opened the package to find a nice box. Carefully wrapped in tissue paper were the tie and pocket square. 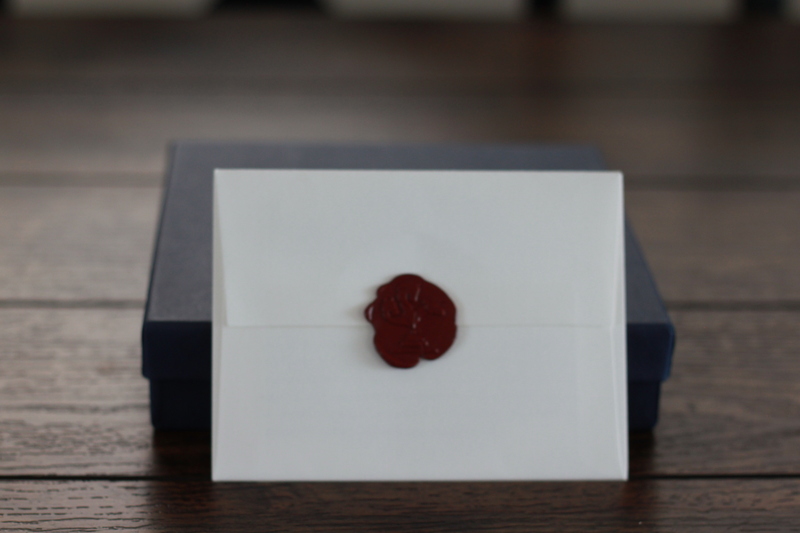 There was also a wax-sealed envelope containing a couple of nice cards that provide some information about the design of the pieces inside. This was a nice touch. Let’s start with the tie. 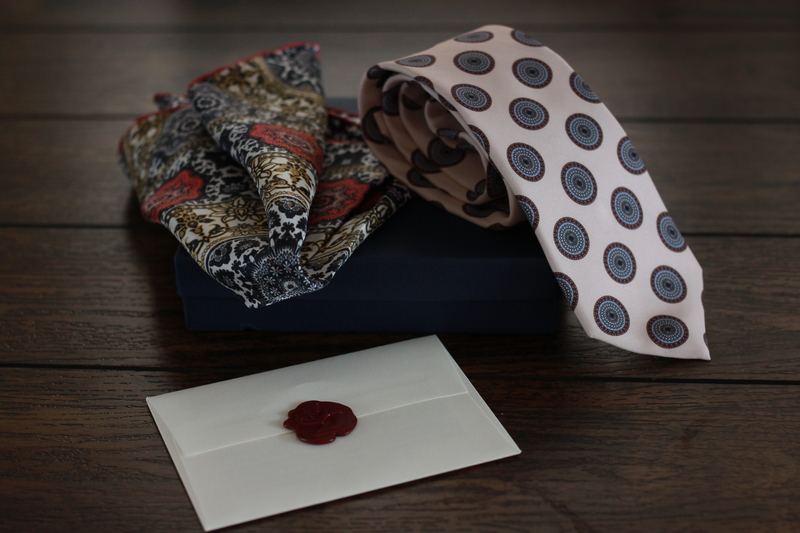 The silk used is beautifully matte in finish, and the colours of the tie are well represented on the website. The medallions are really well executed, with no colour bleed, and great saturation. Part of what I like about this tie versus other silk ties I own, is that the knot doesn’t slip throughout the day. I’d guess that the matte finish may contribute to this, so it is both great form and great function. 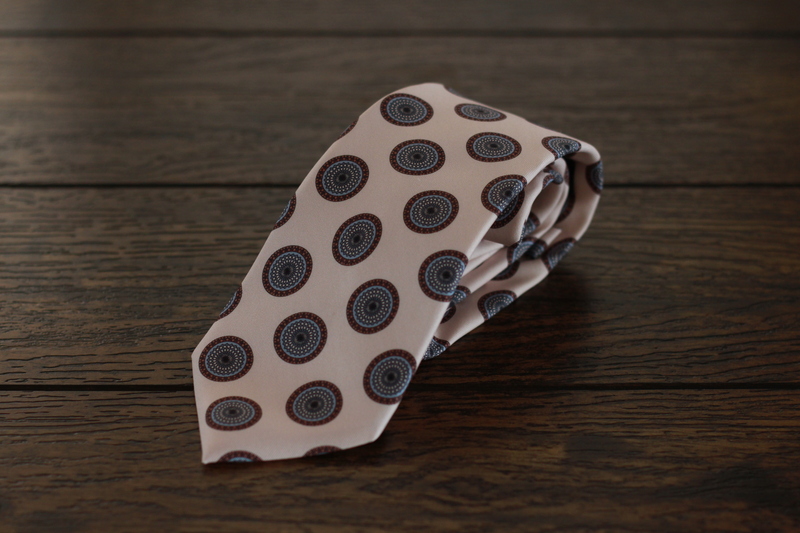 The lining of the tie is a medium weight – substantial without being stiff or bulky. 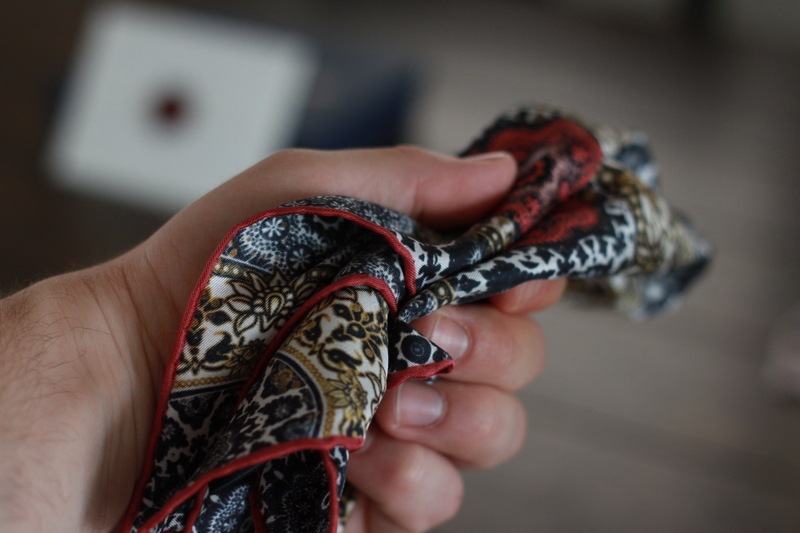 The end of the tie is self-tipped, and all the stitching is neatly done. All in all, I would say this is a well made tie. 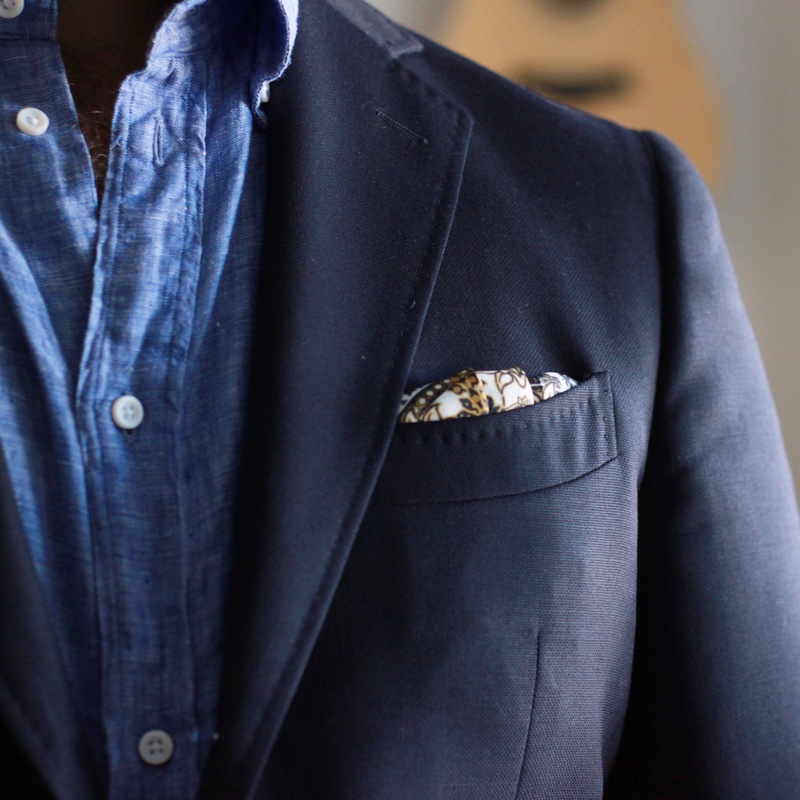 The pocket square is also well made. 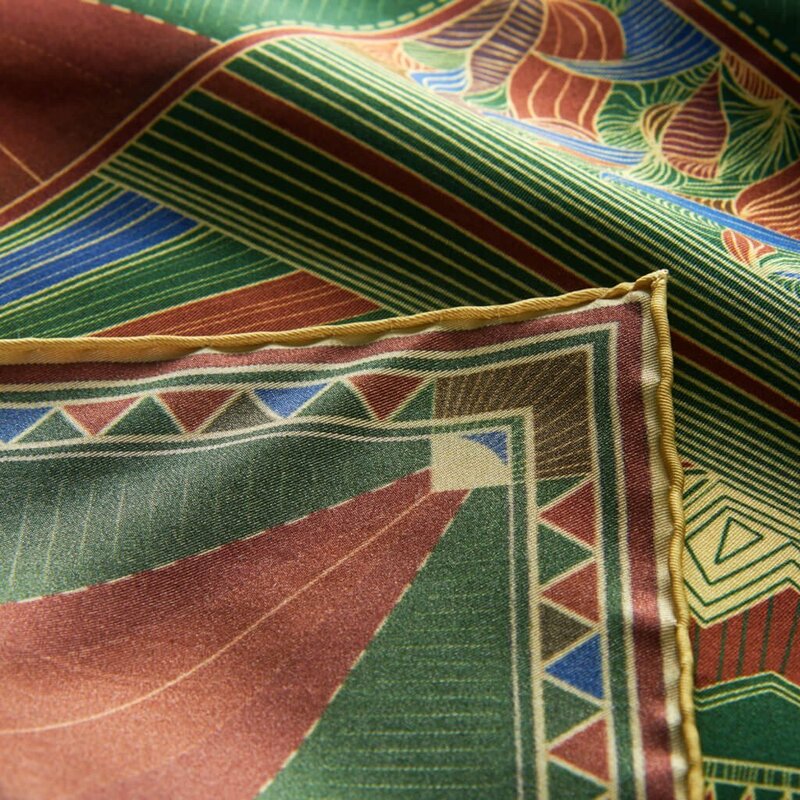 The silk is nice, and like their tie, the colours are vibrant and the pattern was printed clearly. The hand-rolled edges are executed nicely. 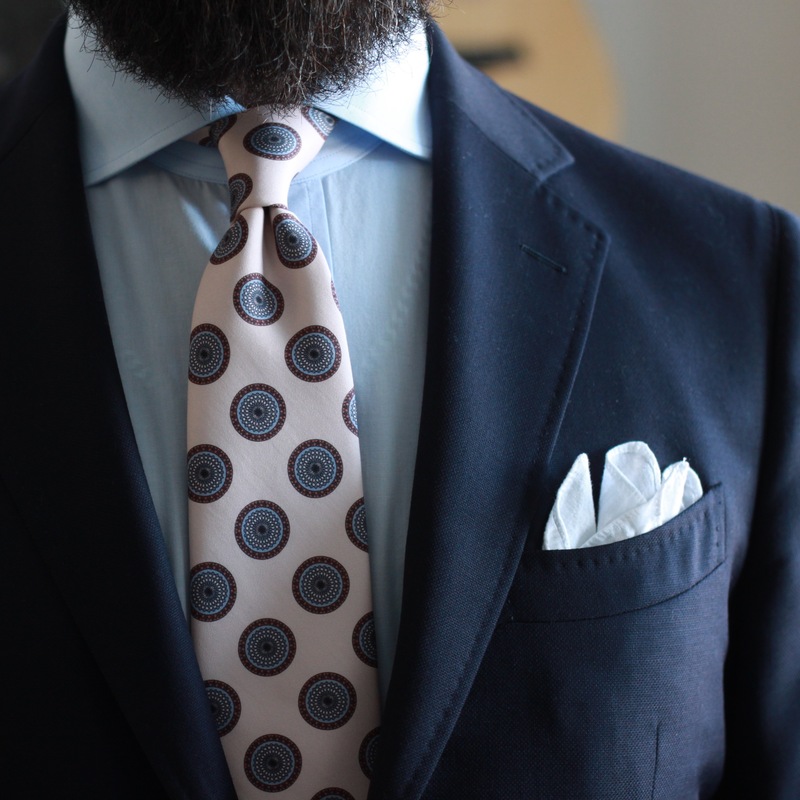 Ivory as a base colour for the tie is really nice. 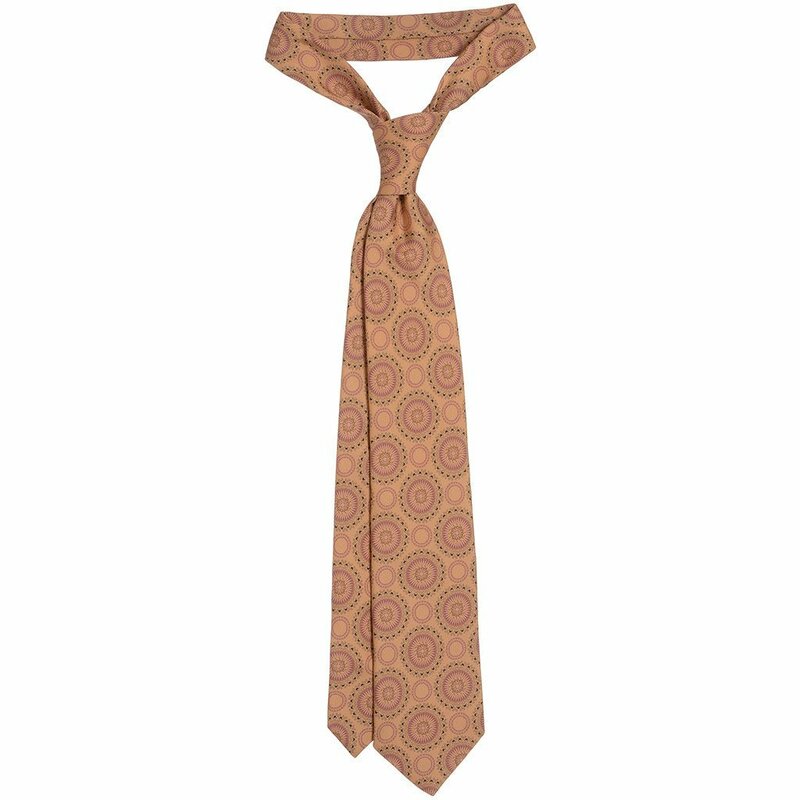 I’ve seen many outfits featuring a light coloured tie on Instagram and have been looking for one to add to my collection. The medallions bring in a nice light blue and some extra visual interest. I’ve only worn the tie once, with my navy hopsack sport coat. 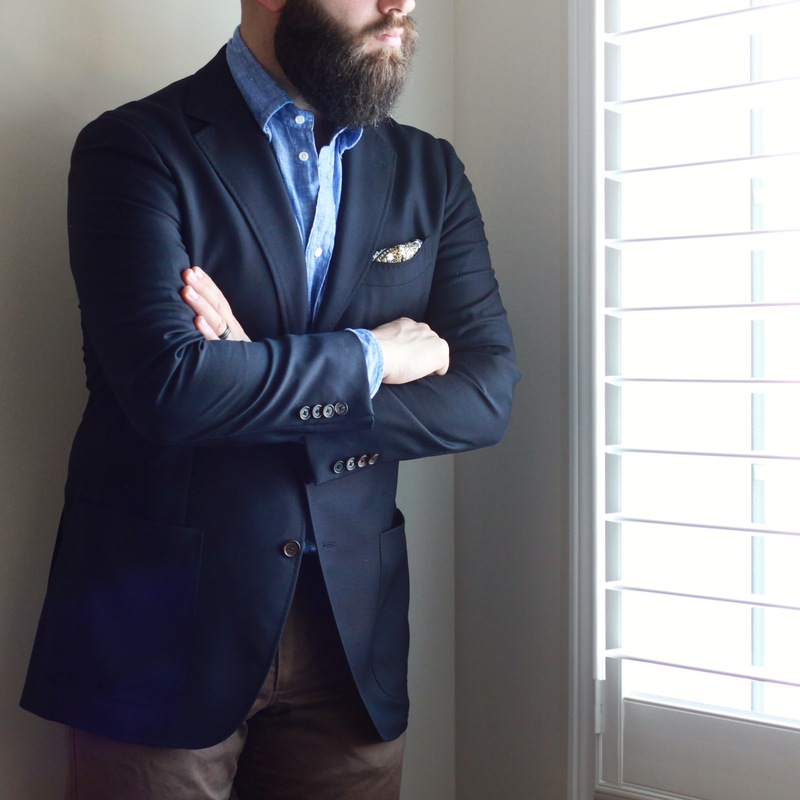 I really like the high contrast look of a dark jacket and light tie. I do think this tie will pair nicely with many of my other sport coats. Adding a pocket square to my rotation with a higher contrast design and colour scheme is something I’ve wanted to do for a while. I think this Vision of an Urban Peasant fits the bill. 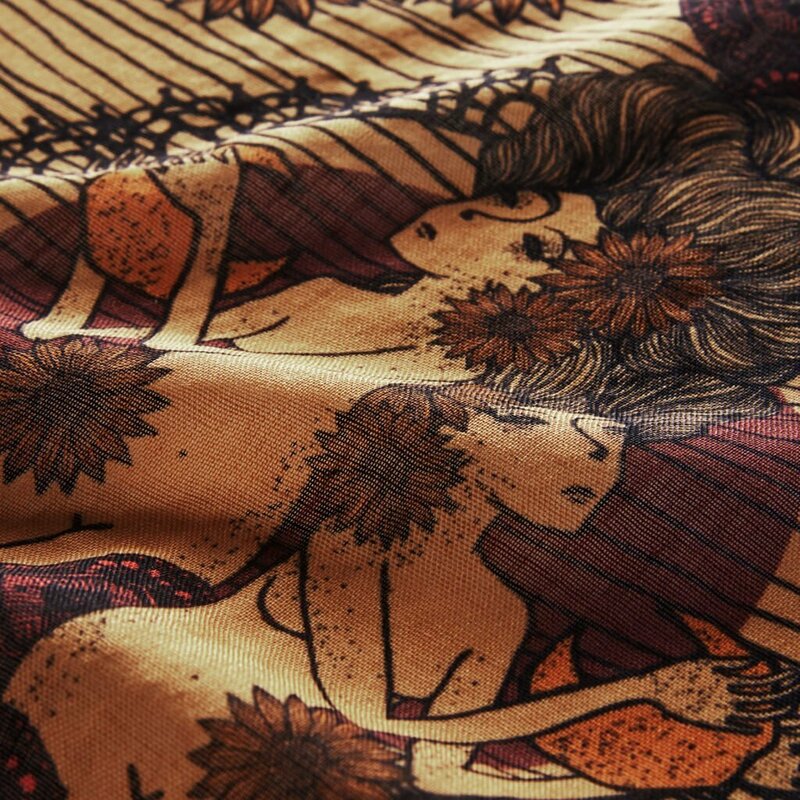 I would say that R. Culturi has done a great job carving out a niche for themselves with regards to large scale ties. I don’t doubt their Heritage Collection ties are beautiful, but the Art Collection is full of truly unique designs. I could see myself picking up a few of the ones I showed earlier in the post, as I just haven’t seen similarly well-executed examples from other makers. Their pocket squares in the Art Collection are also excellent. Offering a varied selection of patterns and art work – abstract, geometric and illustrations shows their effort in providing a very versatile line-up. If you haven’t yet, take a look for yourself at www.rculturi.com. Thanks for the opportunity goes to my new friends at R. Culturi. Looking forward to seeing what’s in the upcoming collection!